Although Socialist Realism suppressed the influences of contemporary artistic movements within itself, Socialist Realism fostered its own unique diversity. 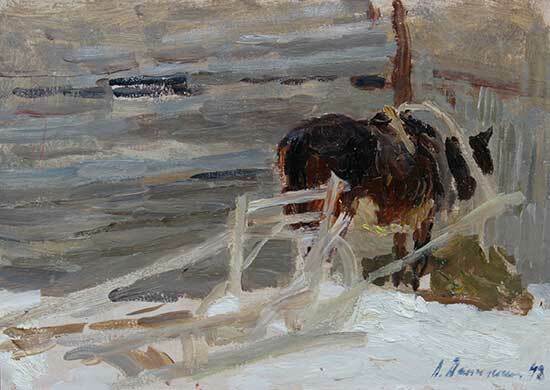 Russian artists, like the masters before them, expressed themselves not by evolving to meet artistic movements of their time, but by becoming the absolute best within their specific painting genres.Russian Realism painting, based in part on the studied principles of French Impressionism, developed and honed plein-air academic painting ideals under a closed society for generations; it is now becoming discovered and lauded by the Western world. 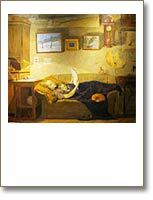 Achieving excellence through complete artistic integrity and ultimate devotion to their "Immortal Beloved"—the art of painting—artists of Moscow's School of Russian Realism exhibit distinct perception of color and outstanding color relationships that trademark their pedigree of traditional Russian painting. The works in this collection represent the paintings the artists created from their hearts, in their free time. At these moments, they painted for themselves, to find the truth and beauty in their subjects; in turn, they found their greatness. These are painter's paintings. 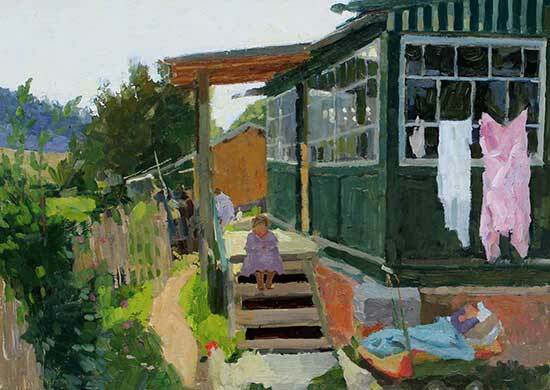 Russian Realism art has created a lasting legacy and a universal connection beyond its origins and is considered to be one of the most important realism movements of the 20th century. Russian Realism painters such as Nikita Fedosov, Yuri Kugach, and Vjachaslav Zabelin have become what is known as "artists' artists." 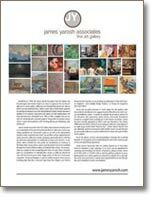 The work of these painters is admired by artists and contemporaries, who recognize the expertise and magic created in these works affectionately referred to as "painters' paintings." Join James Yarosh and show co-host John Wurdeman for this one weekend traveling show exhibit scheduled for our New York/ New Jersey and out-of-state collectors. All are welcome. 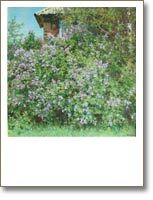 Catalogs will be available upon request. THE HOLIDAY SHOW 2015 - OPENS DECEMBER 5&6, SATURDAY and SUNDAY, 12 - 4pm. Holiday Open House: Celebrate the season with our annual Holiday Show featuring a group exhibit of our most favored gallery artists to open with extended weekend hours and an invitational reception Friday nite, December 4th. As part of our exhibit, we will be highlighting an exquisite collection of fine traditional oil paintings by the revered Soviet era artists Alexander Danilichev, Nikita Fedosov and Nikolai Sergeyev. The show continues with Saturday hours 12-4pm through December 26th. Weekdays and evenings by appointment. ANNUAL RUSSIAN REALISM SHOW SCHEDULED OCTOBER 17th & 18th, SATURDAY and SUNDAY, 12-4pm. 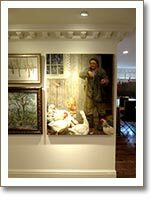 A Russian Realism show is being planned for Saturday and Sunday, October 17th and 18th, 12 to 4pm at the James Yarosh Associates Fine Art Gallery. Over 100 paintings and new works arriving to the U.S., including Soviet Era works and current realism painters, will be featured as part of a one weekend-only trunk show and exhibition event. 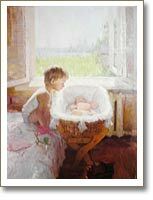 Russian Realism is considered the most important Realism movement of the 20th century. Special to this show will be our guest and show co-host, Russian art historian John Wurdeman and several artists visiting from Russia to include Nicholai Dubavik, and Jonathan Wurdeman from the Republic of Georgia. 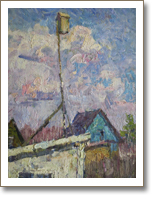 RUSSIAN REALISM SHOW OCTOBER 25th & 26th, SATURDAY and SUNDAY, 12-4pm. 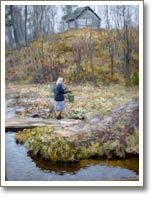 A Russian Realism show is being planned for Saturday and Sunday, October 25th and 26th, 12 to 4pm at the James Yarosh Associates Fine Art Gallery. Over 100 paintings and new works arriving to the U.S., include Soviet Era works and current realism painters, will be featured as part of a one weekend-only trunk show and exhibition event. Special to this show will be our guest and show co-host, Russian art historian John Wurdeman; artists from Russia are also scheduled to attend, including Ivan Kugach of the the Kugach family of artists (son of Mikhail and grandson of Yuri and Olga Svetchenaya), Ilya Yatsenko, and Jonathan Wurdeman. 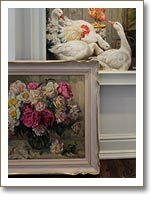 Works by this group of painters were also part of the Blairsden Mansion Atrium Exhibit at Mansion in May 2014 and are currently available as part of James Yarosh Associates' permanent offerings. 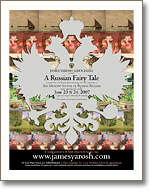 James Yarosh Associates Fine Art Gallery presents a Russian Realism trunk show featuring the most recent traditional paintings of this genre to become available in the States. Russian Realism is considered to be the most important realism movement of the 20th century, as artists created paintings from the heart that captured the poetry of life's beauty, with universal themes and skills honed for three generations under a closed society. The weekend-long event is scheduled to include a meet-and-greet with the show's co-host John Wurdeman, Russian art historian. RUSSIAN REALISM SHOW: Saturday, November 16th and Sunday, November 17th, 12pm to 4pm: A Russian Realism trunk show featuring the most recent traditional paintings of this genre to become available in the States. The weekend-long event is scheduled to include a meet-and-greet with the show¹s co-host, Russian art historian John Wurdeman. Additional event details will follow. HOLIDAY SHOW, 2013: James Yarosh Associates presents our annual holiday show throughout the month of December, beginning Saturday, December 7th with our Grand Holiday Opening Reception from 5pm to 9pm that evening. Extended holiday show hours will continue every Saturday and Sunday, 12pm to 4pm, from December 8th through December 22nd. As always, weekday and evening hours are available by appointment. 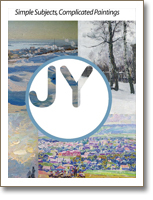 December 2012: "Local Buzz- Where Art Thrives"
A limited time show exhibiting over 100 paintings from the Moscow School of Russian Realism is planned for consecutive Saturdays between June 23 and July 28, from 12 to 4pm with additional times by appointment. Previews for collectors and design trade begins Thursday, June 21. Please contact the gallery for further information regarding this special event. 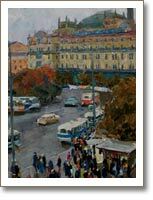 Vyacheslav Zabelin (1935- 2001) Considered a living master during his lifetime in Moscow, Zabelin had already 300 paintings in museum collections throughout the world. A Surikov professor and an artist who held such high regard by the state he was awarded studio space with views of the Kremlin. 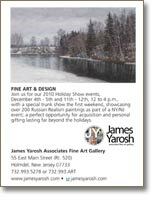 James Yarosh Associates Fine Art Gallery announces its 2010 Holiday Show during the weekends of December 4th - 5th and 11th - 12th, 12 to 4 p.m. The opening weekend will feature a special truck show event, showcasing over 200 Russian Realism paintings as part of a NY/ NJ event co-hosted by Russian art historian John Wurdeman. 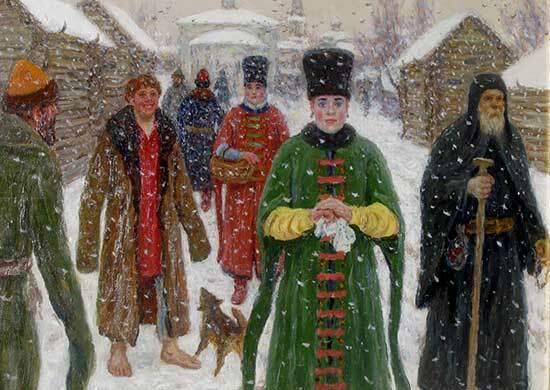 Join us as the gallery presents our annual fine art trunk show event featuring The Moscow School of Russian Realism. 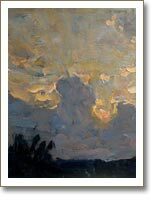 Co-hosted with art historian John Wurdeman, this exclusive tri-state area showing will feature over 200 plein-air landscape and portrait paintings by Russia's renowned Current and Soviet Era Master Artists including The Kugach family, Zabelin, Ponomarev, Yatsenko, Smirnova and Brusilov among others. Open 12-4 p.m. both Saturday & Sunday. 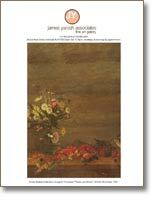 James Yarosh Associates Fine Art Gallery proudly presents our Russian fine art show, featuring our most critically-acclaimed collection of Russian artist paintings. 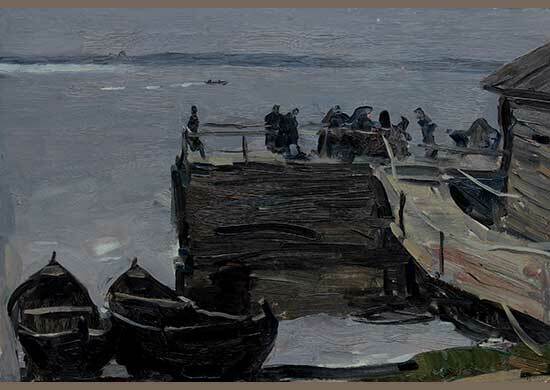 The event will showcase over 200 works for the June 20 & 21 opening weekend reception representing several generations of great painters from the Moscow School of Russian Realism. 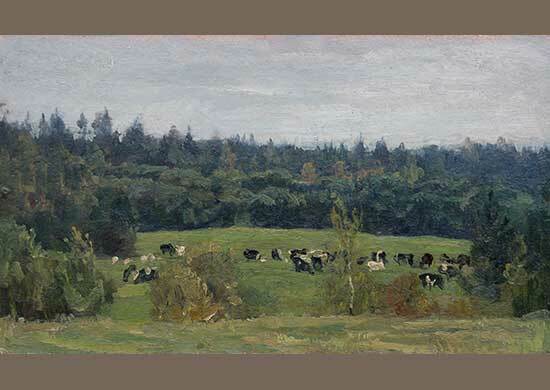 Please join us for our first gallery event since the recent "Kugach, Kugach, Kugach: Three Generations of Russian Artists" exhibit at the American University Museum's Katzen Arts Center in Washington, D.C. 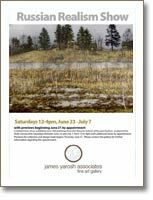 The impressive exhibit opening is being co-hosted by James Yarosh Associates and John Wurdeman, Russian art historian. 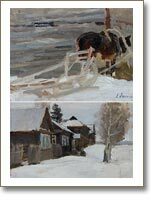 Please visit the gallery to view our most current Russian art collection. Open every Saturday 12-4pm or schedule a viewing by appointment. Artists Mikhail Kugach and son Ivan were in attendance of the Katzen Art Center at the American University Museum show opening honoring their family’s three generation of artists legacy. Preview weekend included a Russian Embassy dinner hosted by Luba Taubvurtzel of Global Arts Network and an Collectors luncheon with slide show and lecture by Mikhail Kugach with translation by JonathanWurdeman, presented courtesy of John & Kathy Wurdeman. 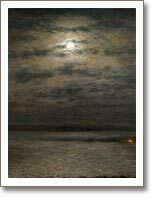 Join us as the gallery presents our bi-annual fine art trunk show event featuring The Moscow School of Russian Realism. 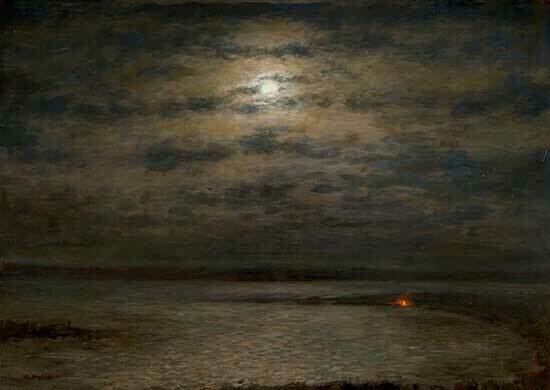 Co-hosted with art historian John Wurdeman, this exclusive tri-state area showing will feature over 200 plein-air landscape and portrait paintings by Russia's renowned Current and Soviet Era Master Artists including The Kugach family, Zabelin, new works by Kosnichev, first time in four years, Yatsenko, Smirnova and Brusilov among others. Open 12-4 p.m. both Saturday & Sunday - Fathers Day weekend. The Global Arts Network benefit dinner at the Embassy of the Russian Federation Friday, January 30, 2009 at 7:00 p.m.
American University Museum at the Katzen opens their Winter 2009 Exhibition schedule with the Kugach, Kugach, Kugach Artist Reception Saturday, January 31, 2009, 6:00p.m. - 9:00p.m. 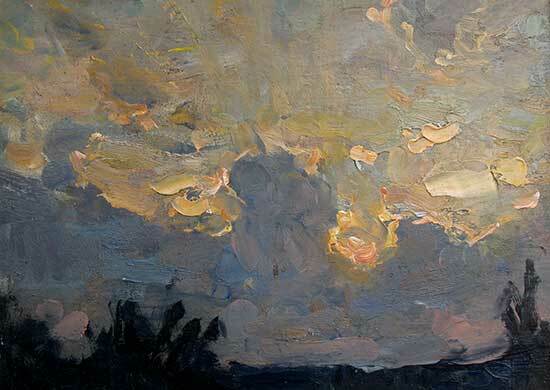 Join us for our Annual Fine Art Trunk Show featuring The Moscow School of Russian Realism. 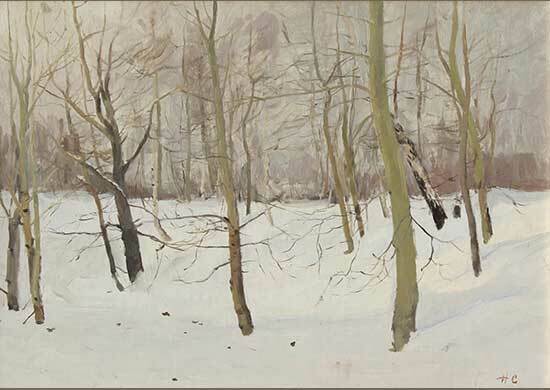 Co-hosted with Art Historian John Wurdeman, this exclusive tri-state area showing will feature over 200 plein-air landscape and portrait paintings by Russia's renowned Current and Soviet Era Master Artists including Zabelin, Maltsev, Ponomarev, Fedosov, Koslov and Brusilov among others. 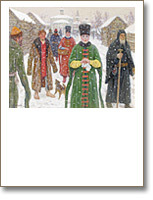 To be added to an email invitation list for all Holiday events, please click here. The Global Arts Network, in cooperation with the Embassy of the Russian Federation, will host an evening of art, music, and cuisine January 30, 2009 to coincide with the upcoming museum show “Kugach, Kugach, Kugach – Three Generations of Russian Artists”. 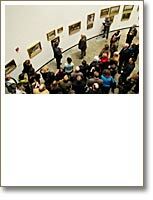 The exhibition will be held at the American University Museum’s Katzen Arts Center during January 26th-March 15th, 2009. Approximately 80 paintings will be displayed from the works of five Kugach family artists. A major Fine Art Trunk Show featuring more than 200 paintings of The Moscow School of Russian Realism co-hosted with historian John Wurdeman. 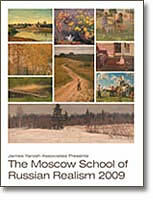 The Moscow School of Russian Realism as featured in Fine Art Connoisseur Magazine; click here.